Senior Fellows are sponsored leaders from the academic, public or private sector interested in contributing to the thought leadership of the financial services industry through case studies, executive-in-residence activities, speaking engagements, research liaison roles, outreach program leadership and more: NFI continually seeks recognized leaders who are interested in sharing their wisdom, experiences and leadership. Cummins’ research focuses on insurance economics; financial risk management; productivity and efficiency; and securitization. He has published numerous articles in the premier Risk and Insurance journals, including: the Journal of Risk and Insurance,Geneva Papers, North American Actuarial Review, and Insurance, Mathematics and Economics. Cummins has organized many conferences, and has been a panelist, discussant, moderator, and chair of many sessions in Risk and Insurance conferences. He is currently the co-editor of the Journal of Banking and Finance, the Associate Editor of eight journals in Risk & Insurance and Finance. 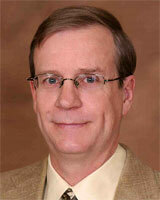 Additionally, Dr. Cummins has served as President of the American Risk and Insurance Association. Martin F. Grace is the James S. Kemper Professor of Risk Management and Professor of Legal Studies and Risk Management and Insurance in the Robinson College of Business at Georgia State University and Associate Director and Research Associate at GSU’s Center for Risk Management and Insurance Research. He is also an Associate in the Andrew Young School of Policy Studies, Fiscal Policy Center. Dr. Grace’s research has been published in various journals in economics and insurance concerning the economics and public policy aspects of regulation and taxation. In particular, Dr. Grace has studied various aspects of the regulation and taxation of the insurance industry. Dr. Grace is a former President of The Risk Theory Society and he is a current associate editor of the Journal of Risk and Insurance. Dr. Grace earned both a Ph.D. in economics and a J.D. from the University of Florida in 1987. 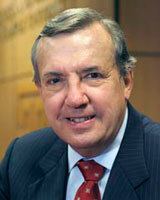 Edward J. Kane, Ph.D. is the James F. Cleary Chair in Finance in the Carroll School of Management, Boston College. He received his Ph.D. from Massachusetts Institute of Technology. Prior to returning to B.C. in 1992, Kane occupied the Everett D. Reese Chair of Banking and Monetary Economics at Ohio State University for 20 years and also taught at B.C., Princeton University, and Iowa State University. Kane has also held visiting positions at Istanbul University, Simon Fraser University, Arizona State University, the University of Arizona, Deakin University (Australia), and Victoria University of Wellington (New Zealand). Kane is a past president and fellow of the American Finance Association, a former Guggenheim fellow, and a Research Associate of the National Bureau of Economic Research. He serves on the editorial boards of seven professional journals, is a founding member of the Shadow Financial Regulatory Committee. He also served for twelve years as a Trustee and member of the Finance Committee of Teachers Insurance. 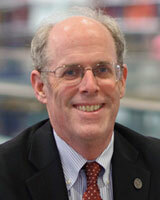 Currently, he consults for the World Bank and is a Senior Fellow in the FDIC's Center for Financial Research. Specific research areas include financial crisis management; deposit insurance; causes and implications of financial change; the changing structure of financial services competition and regulation; politics of policy-making; and the taxation of financial institutions and instruments. 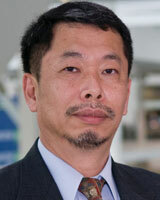 Professor Kwon holds the Edwin A.G. Manton Endowed Chair Professorship in International Insurance and Risk Management, and teaches and conducts research at the School of Risk Management (SRM), St. John’s University, New York. Besides, he works with SRM’s Center for the Study of Insurance Regulation, assists the International Insurance Society (and the Research Network) and is the editor the Asia-Pacific Journal of Risk and Insurance. He has authored several books, actively publishes academic and policy-related papers, and speaks at various conferences for private and public sector audiences. He visits overseas universities and institutions. He specializes in insurance market and country analysis, insurer financial and operation analysis, insurance regulation and human capital issues in insurance markets. Prior to joining the School of Risk Management in 2002, he gained experience as an educator with Georgia State University (US) and Nanyang Technological University (Singapore), as an insurance regulator with Monetary Authority of Singapore and as an industry specialist with the Institutes. 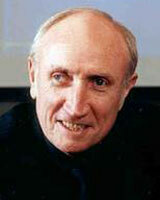 He helped to establish the Asia-Pacific Risk and Insurance Association (APRIA) in 1997, create the World Risk and Insurance Economics Congress (WRIEC) from 2005, and found the Research Network (a consortium of 30 research centers in risk and insurance worldwide) of the International Insurance Society. Professor Kwon earned his MBA from the College of Insurance (now the School of Risk Management) and Ph.D. from Georgia State University. He holds a Chartered Property Casualty Underwriter (CPCU) designation and is listed as a Fulbright Insurance Specialist. Ronnie J. Phillips is a Senior Fellow at Networks Financial Institute. He has retired as a Professor of Economics at Colorado State University. Most recently he was a Scholar in Residence at the Ewing Marion Kauffman Foundation in Kansas City, Missouri and a Visiting Research Fellow at the American Institute for Economic Research in Great Barrington, Massachusetts. Previously, he has been a Visiting Scholar at the FDIC, the Comptroller of the Currency, and at the Jerome levy Economics Institute of Bard College. He is a past president of the Association for Evolutionary Economics (AFEE). His publications on financial system issues have appeared in books, academic journals, newspapers, magazines and public policy briefs. Philips holds a B.A. from the University of Oklahoma and a Ph.D. from The University of Texas at Austin. He has retired as a Professor of Economics at Colorado State University. Most recently he was a Scholar in Residence at the Ewing Marion Kauffman Foundation in Kansas City, Missouri and a Visiting Research Fellow at the American Institute for Economic Research in Great Barrington, Massachusetts. Previously, he has been a Visiting Scholar at the FDIC, the Comptroller of the Currency, and at the Jerome levy Economics Institute of Bard College. He is a past president of the Association for Evolutionary Economics (AFEE). His publications on financial system issues have appeared in books, academic journals, newspapers, magazines and public policy briefs. Philips holds a B.A. from the University of Oklahoma and a Ph.D. from The University of Texas at Austin. 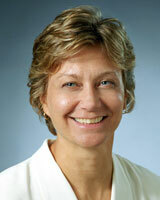 Sharon Tennyson is Associate Professor in the Department of Policy Analysis and Management at Cornell University. Dr. Tennyson is a noted expert on economic and policy issues related to insurance and has published extensively on topics related to government regulation of insurance markets, insurance fraud, insurance distribution and consumer attitudes and knowledge of insurance. Her research has received funding from a variety of sources including the National Science Foundation, and has been published in high quality economics, insurance and finance journals and in prestigious edited collections. Dr. Tennyson is a member of several national organizations and editorial boards and is a past president of the Risk Theory Society. She holds a Ph.D. in economics from Northwestern University, and was previously on the faculty of the Wharton School of the University of Pennsylvania. David VanHoose earned his Ph.D. at the University of North Carolina at Chapel Hill and is currently the Herman W. Lay Professor of Private Enterprise at the Hankamer School of Business at Baylor University. Most recently, his work has appeared in Oxford Economic Papers, the Journal of International Money and Finance, and the European Journal of Political Economy. He has published articles in such professional journals as the Quarterly Journal of Economics, theInternational Economic Review, the Southern Economic Journal, the Journal of Money, Credit, and Banking, Economic Inquiry and the Scandinavian Journal of Economics. 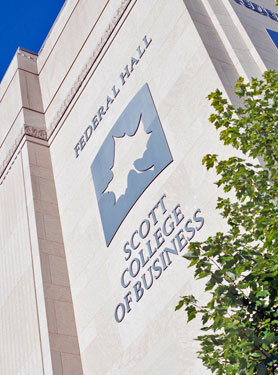 VanHoose served as a Visiting Economist at the Board of Governors of the Federal Reserve System in 1988 and as a Visiting Scholar at the Federal Reserve Bank of Kansas City in 1989. In 1991, he received the Iddo Sarnat Award for the outstanding article in the Journal of Banking and Finance, and in 1995 and 2000 he received the Atlantic Economic Journal's best article award. He has served on the editorial boards of Open Economies Review and the Atlantic Economic Journal. 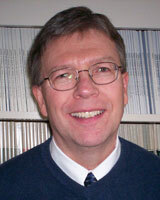 VanHoose is also the author of E-Commerce Economics, co-author (with Roger Leroy Miller) of Macroeconomics: Theories, Policies, and International Applications and Money, Banking and Financial Markets, and co-author (with Joseph Daniels) of International Monetary and Financial Economics and Global Economic Issues and Policies. Mary A. Weiss, Ph.D. is Deaver Professor of Risk, Insurance, and Healthcare Management at the Fox School of Business of Temple University and President of the prestigious Risk Theory Society. She is a Past President of the premier insurance academic organization in the U.S., the American Risk and Insurance Association (ARIA). 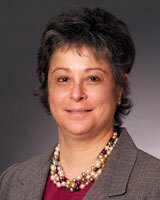 She is Editor of Risk Management and Insurance Review and a Co-Editor for the Journal of Risk and Insurance. Her research, consisting of over 30 articles, has focused on financial services conglomeration, efficiency measurement of insurers, no-fault automobile insurance, reinsurance, regulation, and underwriting cycles. Her research has appeared in the Journal of Law and Economics, Journal of Business, Management Science, The Journal of Financial Intermediation, The Journal of Risk and Insurance, Journal of Banking and Finance, Geneva Papers on Risk and Insurance Theory, and Contingencies. She obtained her Ph.D. degree at the Wharton School of the University of Pennsylvania and has been on the faculty of Temple University since 1986. She was a Visiting Scholar at the Wharton School (2004-2006) and was selected as 2004 Distinguished Huebner Alumnus, Huebner Foundation, Wharton School. She served as a Distinguished Scholar at the NAIC’s Center for Insurance Policy & Research (a think tank) in 2009-2010.